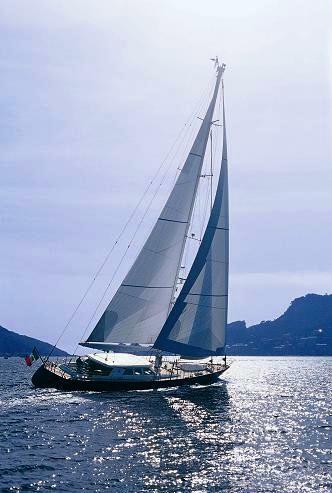 Sailing yacht Heritage M. is a 33,50m (109' 10") classic Perini Navi sailing yacht with traditional styling. 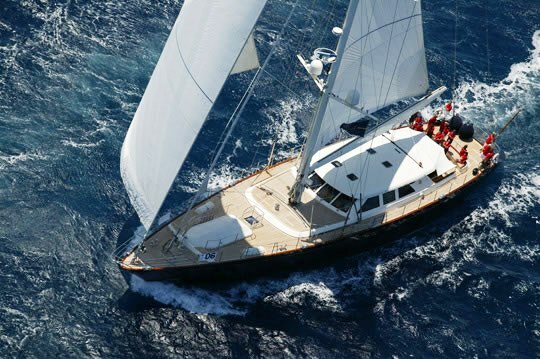 S/Y Heritage M offers both luxury and great sailing performance. 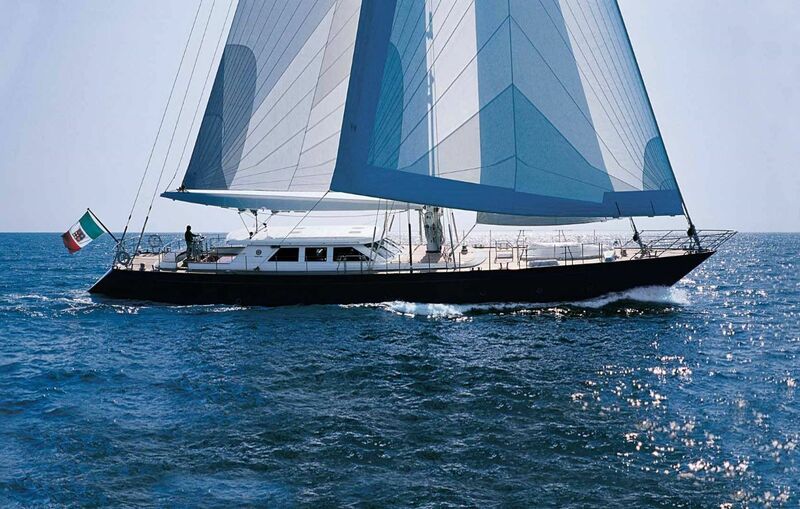 Perini Navi sailing yacht Heritage M has a sloop rig capable of powerful performance and exhilarating sailing. 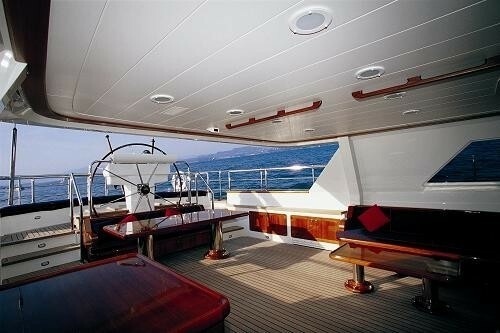 There is plenty of space in the cockpit to relax and dine or watch the Captain at the wheel at her external steering station. Sail yacht Heritage M also has a spacious foredeck for sunbathing. 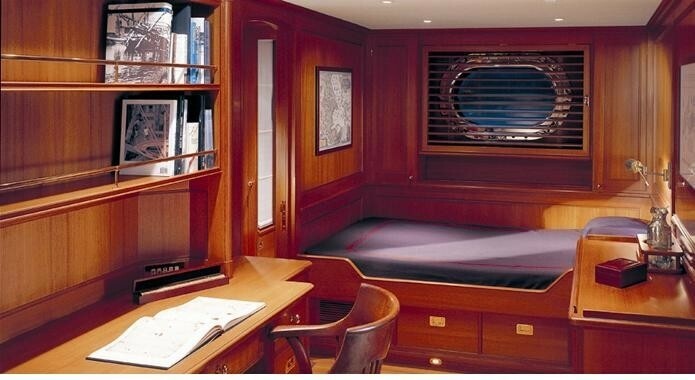 She has a traditionally nautical inspired elegant interior. 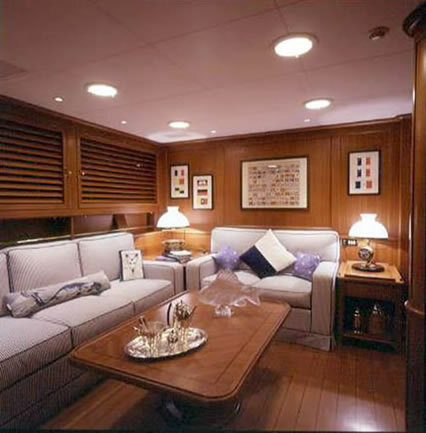 The spacious salon offers a living and dining area that are both are comfortable and luxurious. She also has a fully equipped office. Perini Navi Heritage M can accommodate up to 7 guests in 3 cabins including a Master suite with two beds, an ensuite bath and dressing area. The 2 Beds in Master Cabin are 48”x76” each (which is just 6” less than width of a standard full size mattress). She received new cushions and soft goods 2009. 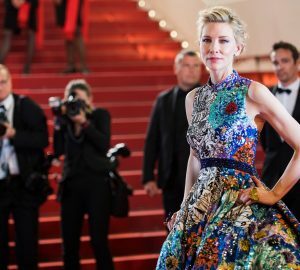 She is in excellent immaculate condition. 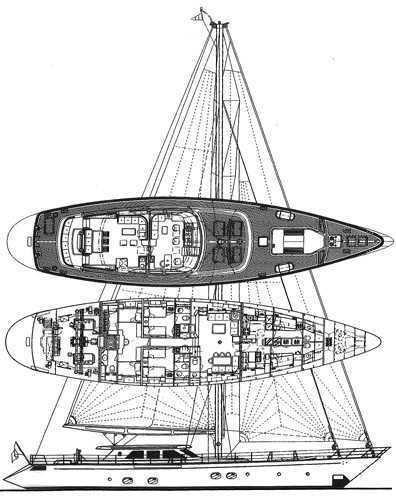 The remaining 2 cabins have a twin be configuration. Heritage M was built in 2000 and received a small refit in 2009. 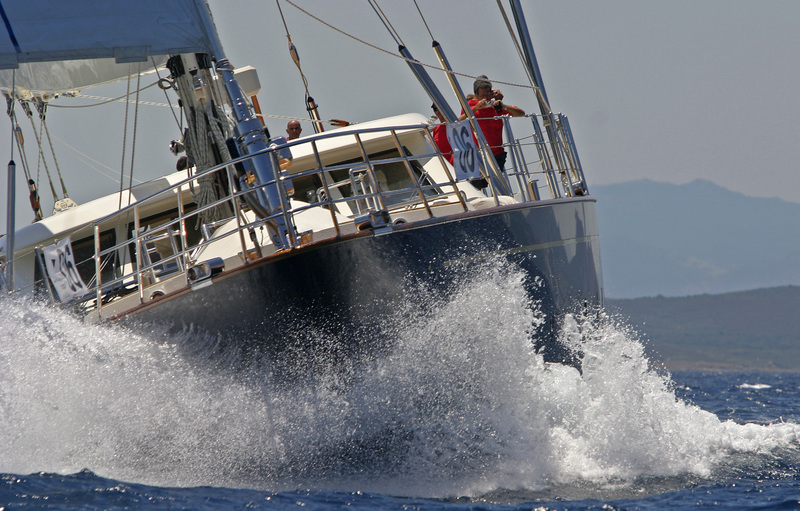 She has a professional crew of 4 and charters throughout the Western Mediterranean. 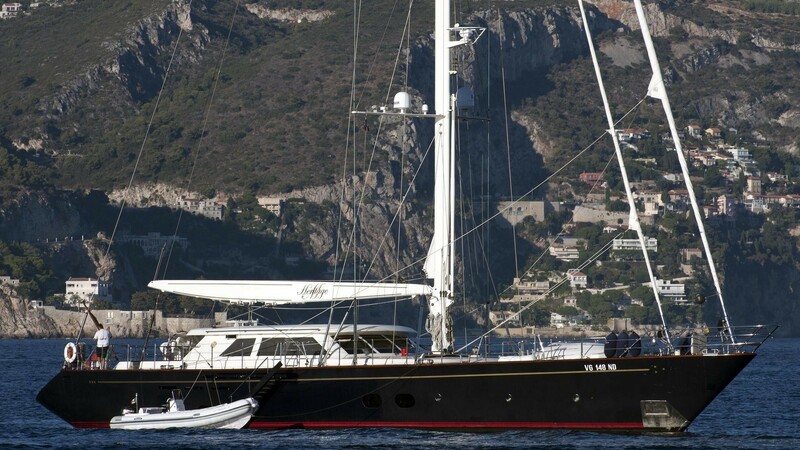 Perini Navi Sailing yacht Heritage M can accommodate up to 7 guests in 3 cabins including a Master suite with two beds, an ensuite bath and dressing area. The 2 Beds in Master Cabin are 48”x76” each (which is just 6” less than width of a standard full size mattress). She received new cushions and soft goods 2009. She is in excellent immaculate condition. The remaining 2 cabins have a twin be configuration. 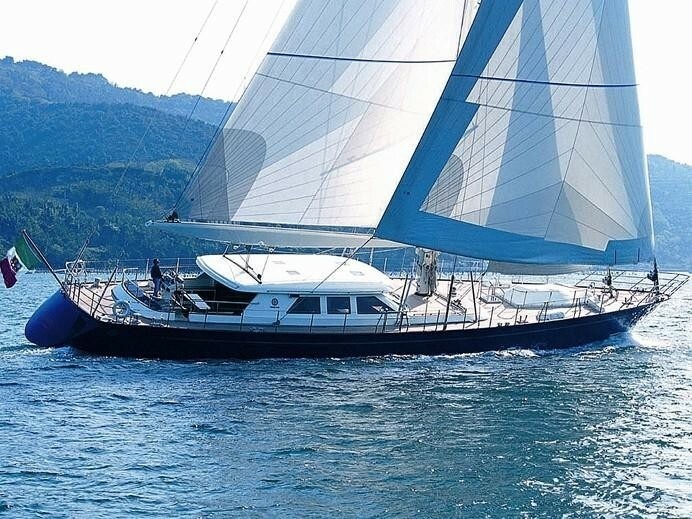 Sailing yacht HERITAGE M has the following extras onboard: Tenders and Toys include 3 Sets of Diving Equipment (RDV), Snorkelling Gear, Water-skis, Inflatable “sausage “to tow behind the tender for kids. Communications include VSAT.